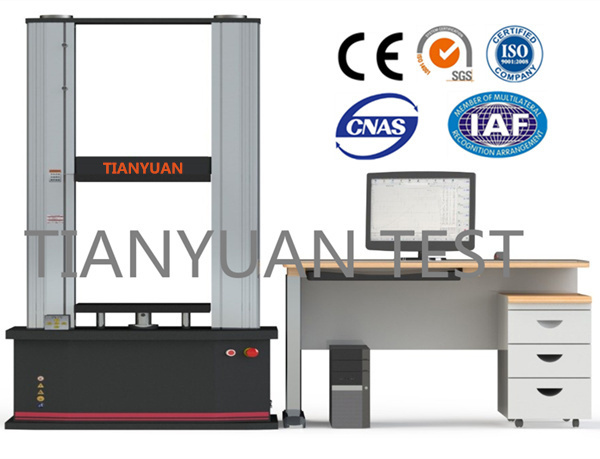 TY Carton Compression Testing Machine adopts single space structure. The test space is in the lower part. This Machine is suitable for carton compression test (Max. crushing force), standard test (pressure standard, deformation standard), and stacking test under the load of 50KN. The deformation value (or pressure value, time) can be set up in advance to test the overall performance of the carton, and provide the necessary test data for the design and selection of the carton. Servo motor, high rigidity, high precision, high transmission efficiency, planetary screw system driven ball screw, test load process. The machine adopts advanced DSP+MCU all-digital closed-loop control system for controlling and measurement, using the computer during the test and the test curve dynamic display, and data processing, test after test data analysis through graphical processing module, the secondary editing export Excel data to print out the test reports. Load VS Displacement, Load VS Time, Displacement VS Time, Stress VS. Strain, Stress VS. Time, Deformation VS. Time, Slope VS. Load, Slope Deformation, Modulus VS. Load, Modulus and Deformation, Multigraph simultaneous display and so on. Looking for ideal Carton Compression Testing Equipment Manufacturer & supplier ? We have a wide selection at great prices to help you get creative. All the Carton Compression Testing are quality guaranteed. We are China Origin Factory of Box Compression Tester. If you have any question, please feel free to contact us.